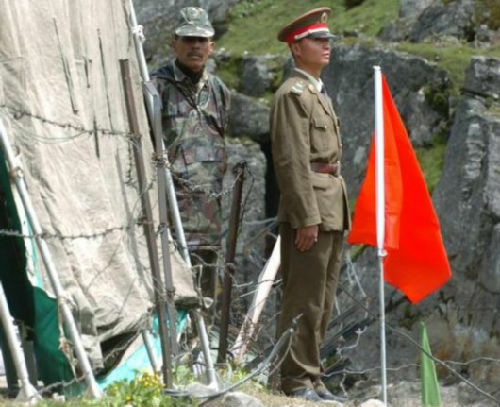 If you’re a local resident in China, looking at the current contretemps on the Sino-Indian border, matters are not at all complicated. 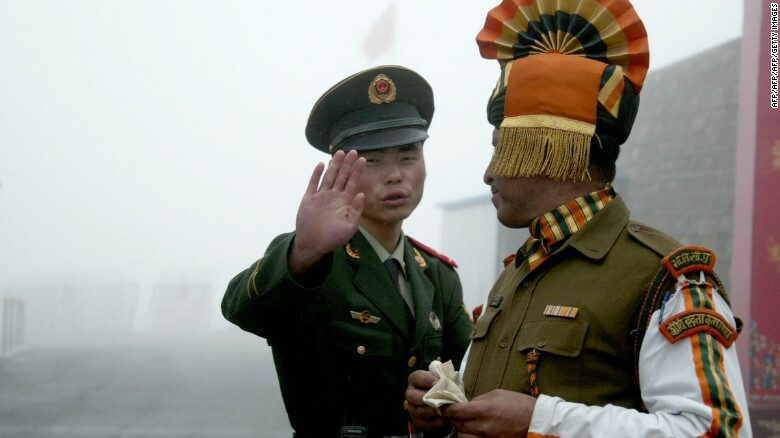 India is in the wrong, and had better back off, lest Beijing’s patience ends and China’s military is unleashed. The countdown seems to have begun. That’s the message being sent through the official military media; by central government pronouncements reprinted in Party newspapers; and across various television programs and commentators that citizens watch for an explanation of current events—especially Channel 4. Channel 4’s coverage of international events is often exemplary. Few incidents—from floods in Slovakia to the civil war in Syria—go unmentioned. Broadcasts often use uncredited footage from foreign news organizations whose own programs are blocked here in China, but viewers willing to sit through accounts about global developments will often know far more about the world than, say, their American counterparts. That’s not to say viewers are offered even a scintilla of balance. They’re not. The daily program “On Both Sides of the Taiwan Straits” [海峡两岸] is a case in point, even as its usual focus and narrative—political chaos in Taipei, US-Japanese perfidy and interference in Taiwan’s affairs, and the elaborate conspiracies by Beijing’s competitors to contain China—have been displaced in recent days by analysis of the Sino-Indian border conflict. But the same sentiment obtains. And what viewers see in this half-hour broadcasts these days is the same format and approach used regularly when the subject is Taiwan, and employed elsewhere on many Chinese news programs. There’s a brief introduction of the issue in question--that is, whatever the prevailing view in Beijing is—by the regular host, Li Hong [李红]. Sometimes, it’s cast as a question, though often—as with the current border dispute—it’s a resounding reiteration of the current official stance here. That’s followed by interviews of 2-3 designated and clearly approved commentators explaining the subject in more detail. Each of them work at various government think-tanks, or at university institutes on the mainland which toe the Party line. (One especially outspoken—which is to say, loud and angry—commentator works in Taiwan.) There’s always diversity and debates among many analysts and advisers on a number of issues here in China, but viewers see none of that on this program. There’s no disagreement aired—how can there be, when the questions are pre-selected and the answers carefully edited, as the careful subtitling of the program into Chinese indicates? Different commentators instead take specific parts of the problems and reply to leading questions by Li largely by repeating a defense of Beijing’s view and slashing at those who might hold another. As with so many news programs here in China, there’s a consistency and persistency that’s almost breathtaking. There are no alternative views aired by commentators outside the chosen circle of experts. No one from the other side of whatever aisle is offered a podium or even a pew to provide a different take. Indeed, the program doesn’t offer points of views so much as it seeks to arrive at a single perspective. The questions presented (not posed) to viewers at the outset is essentially what one sees in China—at schools and universities, for example: “How shall we see this situation?,” “What deductions are correct to come to?,” "What's the truth?" Any sense of the dialectic dies because there’s not nearly enough disputation about the issues. The time for contemplation and consideration are at an end when the segment does. In this case, the possibility that New Delhi might have a claim that’s reasonable or worth negotiating about—or that it even has a claim worth mentioned--isn’t presented in this program. India is simply cast as a troublemaker and, as such, deserving of punishment unless it backs away now. Like countless local land disputes here in China, there’s only one side, and the party that moves fastest and yells loudest is presented (and accepted) as the only one worth watching. Many Chinese citizens know that script, and are determined not to be on the wrong side. So while local residents here are savvy enough, they also recognise that news programs here are not about the conversation but the conclusions—not the inquiry and the unknown, but the answers supplied. So much of Chinese culture is constructed around certainty, that which is known because it's practiced and because it can't be altered. 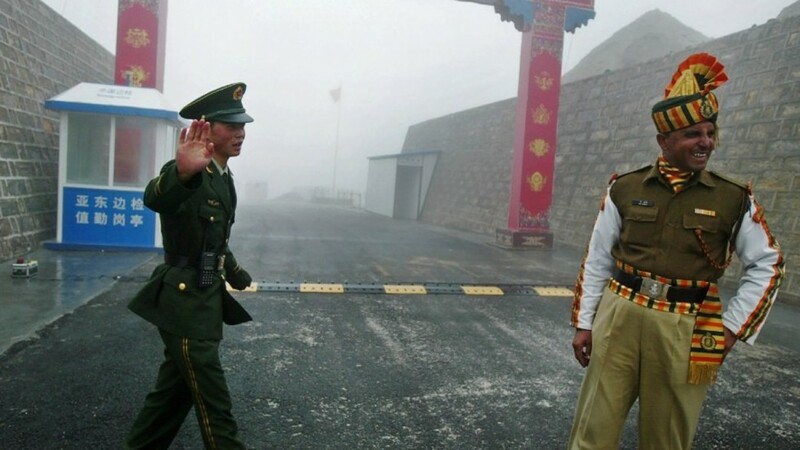 It’s not controversy that they or Beijing are after, but harmony. Many citizens here do watch these programs for information and insight, but more to resolve their curiosity and prepare their reaction when asked. The consensus they see on the screen is supposed to be replicated in real-life. “This is what I’m supposed to think,” the viewer believes. None of this is say that the broadcasts or the viewership are stupid or silly. But the purpose of these programs is to simplify, to stereotype, to make Chinese citizens self-certain in the rightness of whatever the current cause is--South China Sea, sovereignty of national cyberspace, foreign companies price-gouging, or what have you. Programmes such as this are meant to render the complicated as quite straightforward, something no longer puzzling but an appeal for patriotic support. That approach might help national unity. But it’s also how some wars start—with angry citizens looking for the total triumph promised by a leadership that suddenly wished it remembered how to push the pause button. My observation is that there are efforts to educate the Chinese people about media literacy, to be wary of fake information/fake news but ultimately the lack of credible and reliable sources does not help the people navigate through the information landscape. Rather it seems that the media literacy education has cultivated a general sense of scepticism so that when state media is not trusted then no other source is trusted as well. I guess the level of scepticism towards all forms of media would work to CCP’s advantage since even reputable international news agencies would be doubted by the Chinese people. As for issues revolving around territory, it seems that even the most savvy would tend to take a very nationalistic stance. Thanks very much. You raise important points. Just last week, there was this event in Nanjing: http://njrb.njdaily.cn/njrb/html/2017-08/03/content_468554.htm . The phrase "巩固壮大主流舆论" isn't entirely new of course, but it is striking for its emphasis on what appears to be the ongoing purpose of more centralised control from Beijing where media is concerned. And it's a touch more focused than "巩固壮大主流思想舆论"--which was popular for a while in some official circles. From the standpoint of policy generation, by staying on an agreed central message and repeating it, the belief seems to be that there's less likelihood of straying, whatever the source. Of course, social media is especially challenging for authorities here, though local officials seem to be more concerned about rumours specific to their particular patch. There was a book a number of years ago about the effects of Soviet propaganda. I've unfortunately forgotten the title and author, but the basic thrust was that people knew they were being lied to and were very skeptical about the news, but because the official view was so widespread it seeped into peoples' world views in complicated ways anyway. I think an analogy would be advertising. Nobody believes them entirely, but you can't say it's not effective. Thanks for your thoughts here. There are some here who feel and evince an appropriate level of skepticism, but many more who buy into the narrative being presented. That's especially the case the more local the audience, it seems.